Product code: VM723C Categories: Mobility, Rehabilitation & Exercise. These specially-shaped, reusable heat pads with cover provide instant heat with just one click to activate and come complete with a soft, flexible cover with hook and loop tape fastening for a perfect, secure fit and hands free use. 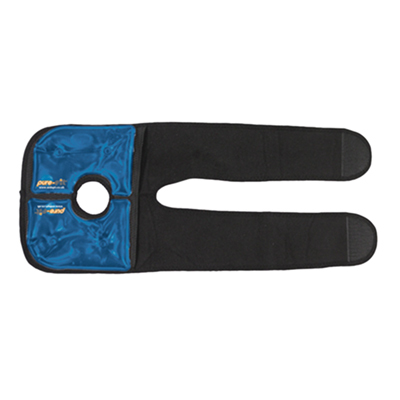 These specially-shaped, reusable Knee Heat Pads with cover provide instant heat with just one click to activate and come complete with a soft, flexible cover with hook and loop tape fastening for a perfect, secure fit and hands free use. Designed to fit comfortably around your knee or elbow, but also suitable for use as pocket, glove or hand warmers when used without the cover, this pair of instant heat pads is ideal for targeting aches and pains, improving poor circulation and soothing injuries. When you ‘click’ and bend the metal disc inside the pads, it heats the whole Heat Pad in seconds, with no other power source required. To reuse the heat pads, heat in gently simmering water (do not boil) to melt the crystals back to the original liquid state, ready for your next click!